Tickets are on sale now to see The Phantom of the Opera - the longest-running show in Broadway history - at the Majestic Theatre in New York City! The Broadway premiere began previews on January 9, 1988, officially opening on January 26, and “The Music of the Night” continues to entice crowds to the musical spectacle eight shows a week in the heart of NYC. The winner of seven Tonys, including the 1988 award for “Best Musical,” Phantom is widely considered as the most iconic piece of work from composer Andrew Lloyd Webber, whose hits also include Sunset Boulevard, Jesus Christ Superstar, Cats, Joseph and His Amazing Technicolor Dreamcoat, and many more. 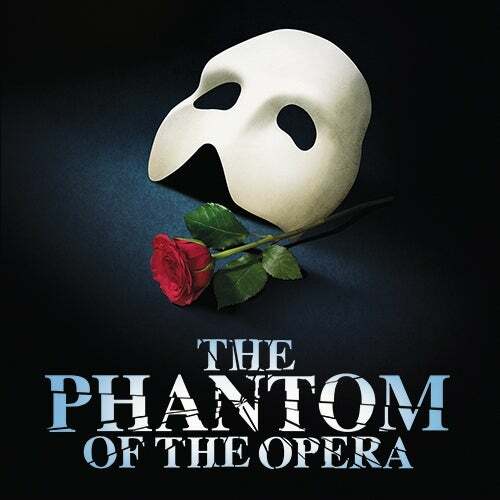 Accompanying Webber’s timeless score are lyrics by Charles Hart & Richard Stilgoe and a book by Stilgoe & Webber that tell the story of the treacherous love triangle as the Phantom and childhood sweetheart Raoul lock horns and battle for the affections of rising star of the Paris Opera - Christine Daaé. Directed by Hal Prince and choreographed by Gillian Lynne, the production boasts a plethora of iconic images and instances, topped off by the infamous crashing chandelier from the roof of the auditorium. The splendorous dance sequence that is “Masquerade”, the descension into the Phantom’s underground lair during the title song, and the romantic, rooftop ballad of “All I Ask of You” have all become synonymous with the standard-bearers of musical theatre. And all the while, Webber’s melody motifs infectiously repeat themselves until your mind surrenders to the tunes of “Angel of Music”, “Think of Me”, and “Wishing You Were Somehow Here Again”. A film adaptation, produced by Andrew Lloyd Webber and directed by Joel Schumacher, was released in December 2004. It starred Gerard Butler in the title role and was nominated for three Academy Awards (“Best Art Direction”, “Best Cinematography”, and “Best Original Song” for the new track entitled “Learn to Be Lonely”). The Phantom of the Opera is a must-see for anyone new to the theatre or for those interested in the history of musical theatre. It is also typically favored as a great “Date Night” destination and, despite its late 1980s production values, it has undeniably stood the test of time in the face of its much younger competitors. Producers of Broadway's longest-running show of all time, The Phantom of the Opera, have announced upcoming cast changes, taking effect from the week beginning November 19, 2018, at the Majestic Theatre. Current alternate Christine Daaé Kaley Ann Voorhees will be stepping up and stepping into the role full-time from November 19, as current pricipal cast member Ali Ewoldt plays her final performance in the role on November 17. The company will also welcome Eryn LeCroy, making her Broadway debut as the alternate Christine Daaé at the same time.